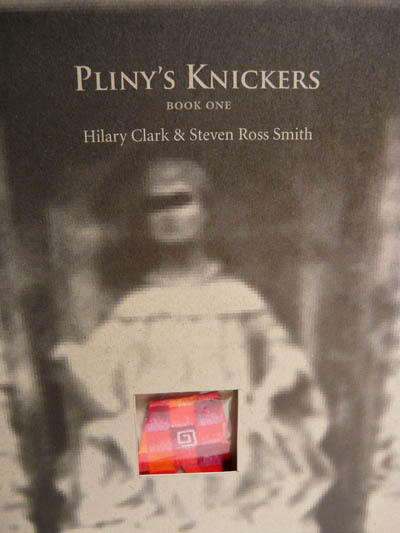 Pliny’s Knickers enacts language as arrival and manifestation, composed as it was in the go-between, the back and forth, of an email exchange between Hilary Clark and Steven Ross Smith. In this poetic poly-logue, the authors exercise their common interest in a poetics of constraint, of resistance, of inventiveness, and in the process of homolinguistic translation. 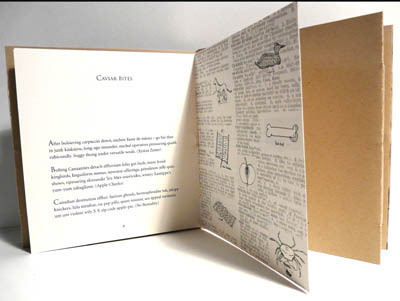 In Pliny’s Knickers they stretch poetic norms; the pull toward convention, meaning, and syntactic regularity; into inventive, surprising, and sometimes humorous configurations.